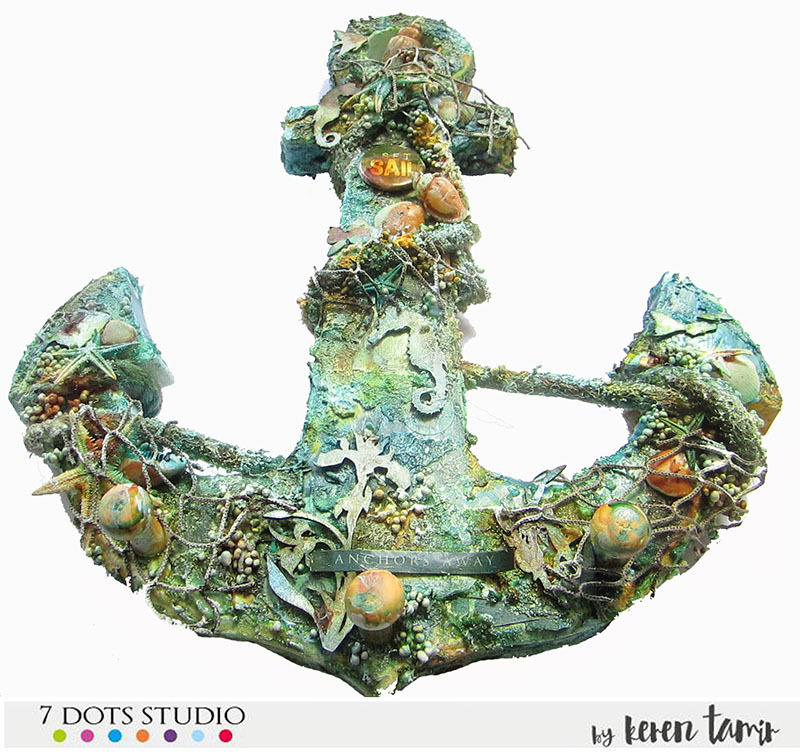 Today I altered a wooden anchor home decor using the 7 Dots Studio Destination Unknown collection. 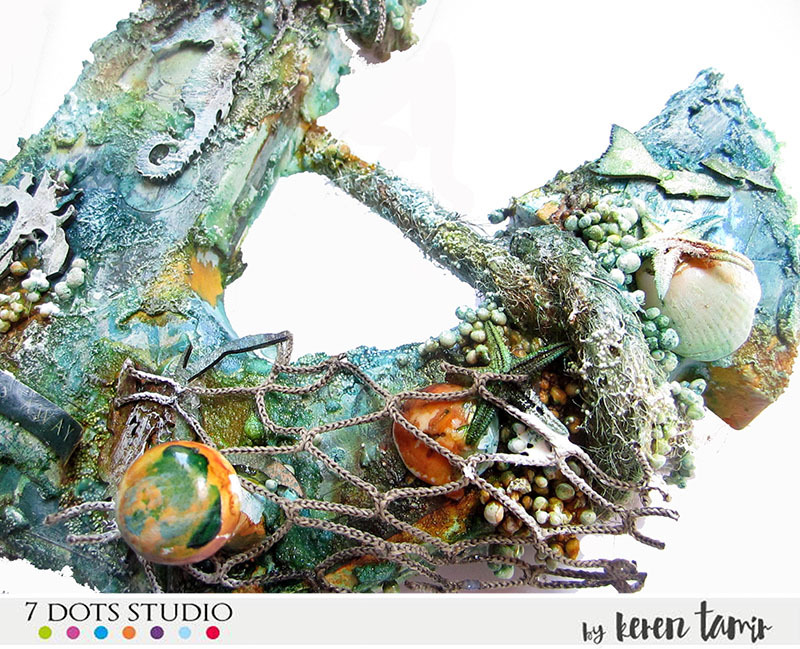 I love creating beach themed projects, they are some of my favourite things to create.This collection of course is perfect for this theme and I’ve used it many times for this theme. 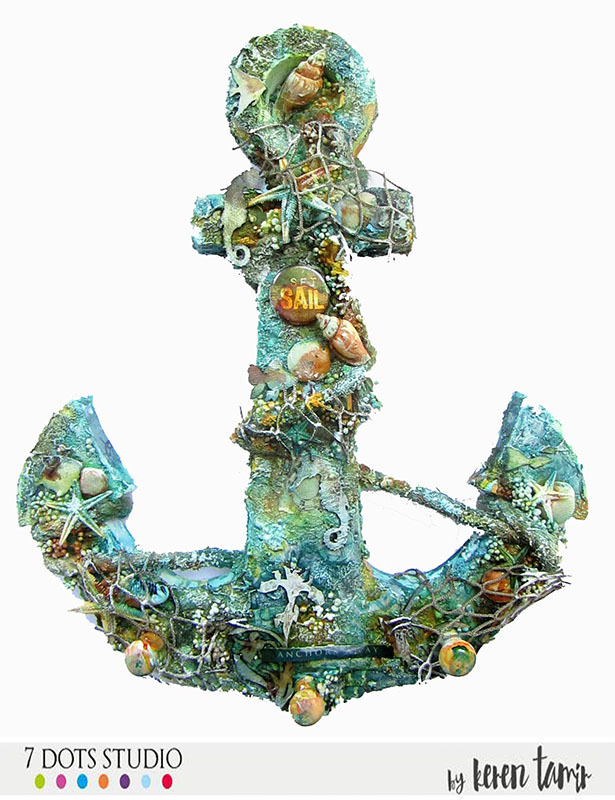 I wanted the anchor to look as if it had sunk many years ago in the ocean and got covered in algae, molluscs, barnacles, shells and starfish. 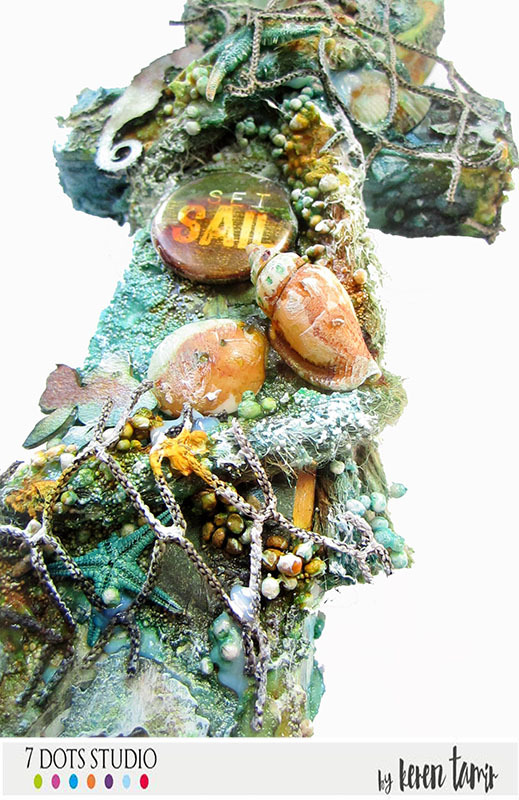 I used real shells and starfish to embellish as well as chipboard pieces from the same collection. 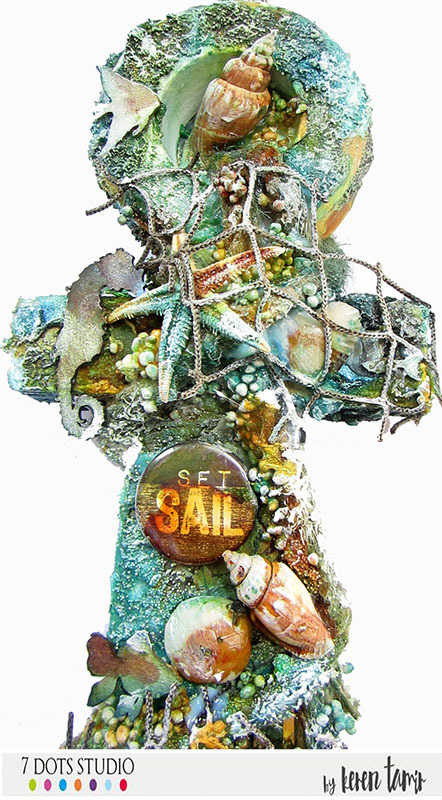 Here are some close-ups of the anchor. 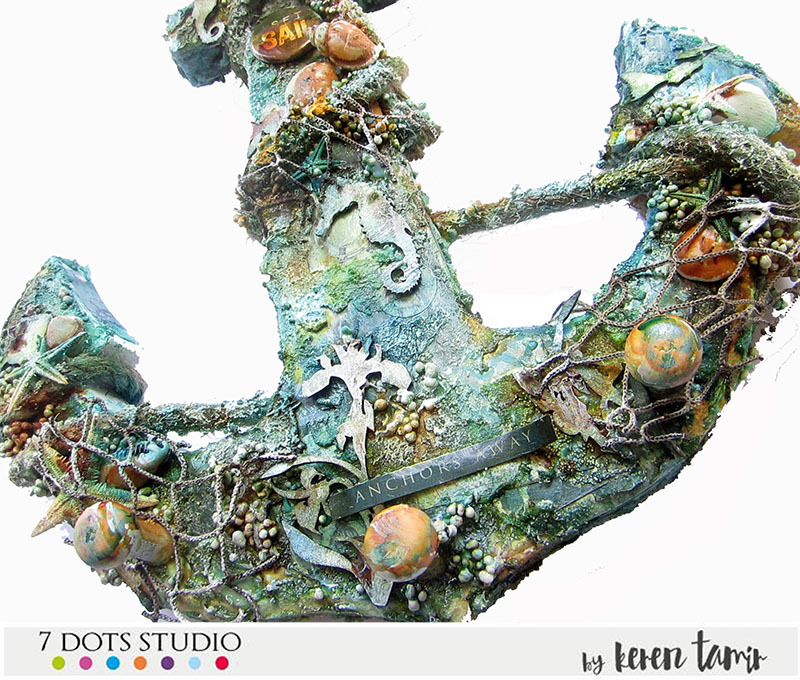 The texture from the paste, stones and embellishments makes this really look like a sunken anchor. WOW… I'm speechless…this is amazing! I just love all the details. Rally amazing project!